A fascinating learning session with one of today's most acclaimed talents! 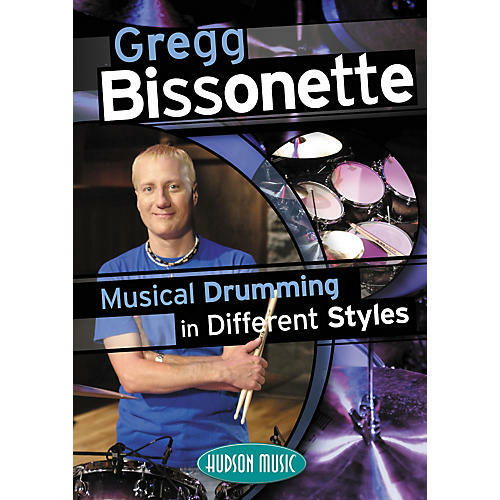 Popular drummer and teacher Gregg Bissonette teaches his highly successful approach to creating musically supportive drum parts in virtually any studio or live drumming situation. Drawing on his experience with artists from Maynard Ferguson, Don Henley, and Santana to Toto, Linda Ronstadt, and Ringo Starr, plus his own solo projects, this 4-hour, 2-DVD set defines what playing for the music really means. 4 hours with drumming legend Greg Bissonette? Priceless! Order today!